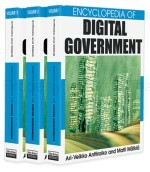 Information technology is changing the role of government, its functions, and its power. The long process of transformation of public sector organizations and the applications of computer technologies have started the talk about electronic government. In the last ten years, the debate concerning e-government has been the subject of various studies, promoting analyses, research approaches, and empirical surveys. Even so, there is still much confusion about the meaning of this term and the word e-government is often used in reference to e-voting, e-democracy, or e-administration. Therefore here we intend to provide the reader with some guidelines, trying to explain a concept that, although little more than ten years old, finds its roots in the ancient idea of the information society. We can start by saying that e-government represents just a single fragment of the broad discourse about the impact of information technologies on society. It is not an administrative experiment but a permanent part of the governmental process. According to Jane Fountain’s (2004) idea, we can define e-government as “the production and delivery of information and services inside government and between government and the public using a range of information and communication technologies” (para. 2). In this prospective, the Internet can be considered as a variable, which has been grafted onto the wider ground of factors leading to the transformation of government roles. Moving from this point, e-government will be analyzed as an intersection of two main trends. The first of these is the overall transformation of public sector organization. In this respect, the Internet variable has to be considered in the entire process of the government reinvention that made scholars talk about a major new revolution after the industrial one. The second trend is the information society development, a process that started since the 50s catching very soon the interest of governments.